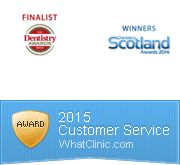 Vita Dental Spa is continually trying to help charities both locally in the Monifieth, Angus and Dundee area and more national UK wide charities. This year we have already helped a local charity called ‘Harlow’s Helping Hand’ started by a family in Blairgowrie, Angus to help support families who have tragically lost a child. This charity helps families that are less fortunate with funeral costs which can seem very daunting at an already difficult time. We supported this charity by donating 3 vouchers for Teeth Whitening, each worth £300 to be raffled/ auctioned at their charity opening night in Dundee in April. The second charity we are supporting in surgery is Cancer Research. We were approached by one of our patients who asked us to display a charity tin at our reception which we were more than happy to do. We are now on our second charity tin thanks to the generosity of our patients and residents of Monifieth, Angus. The third charity we are supporting this year is Macmillan Cancer Support. To support this charity, we are taking part in the Tough Mudder challenge. The Vita team is training hard for this event by running local routes in Dundee and Monifieth, attending gym regular gym classes and one staff member is even training on Broughty Ferry beach. We have a Just Giving page ( https://www.justgiving.com/fundraising/VitaDentalSpaMonifieth ) set up and any sponsors can be made directly here or at reception in our practice in Monifieth. We thank you in advance for your help supporting us!